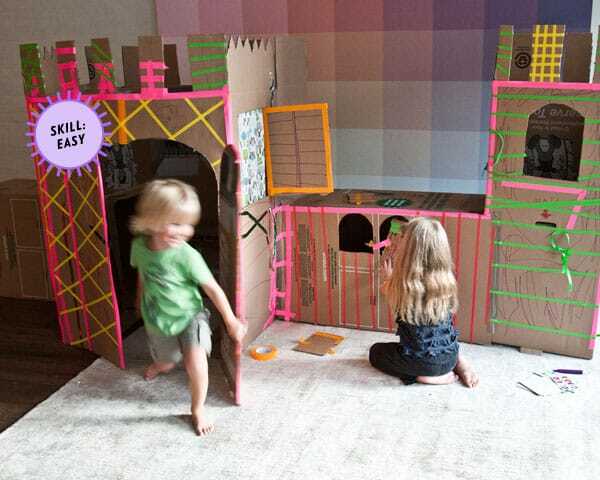 We can’t think of a better way to spend an afternoon than building this colorful cardboard castle with your kids. For the full photo gallery of inspirational photos click here or keep reading for the do-it-yourself tutorial. 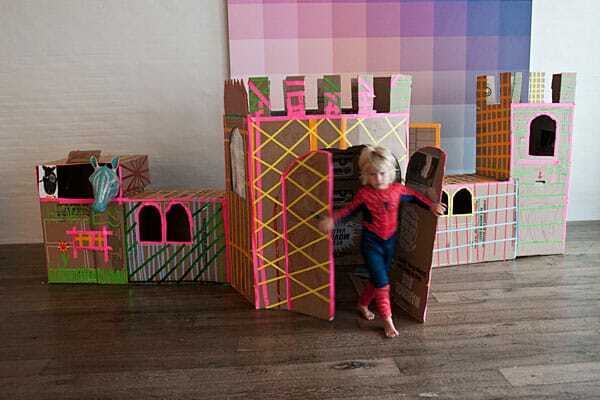 Christiane Lemieux, the founder and creative director of DwellStudio and author of Undecorate, has shared this inspiring cardboard castle that was designed and built by her two young children. The castle strikes a great balance between Christiane’s fondness for luminous colors which DwellStudio is famous for and the unstructured design and patterns that have flowed from her children’s imagination. 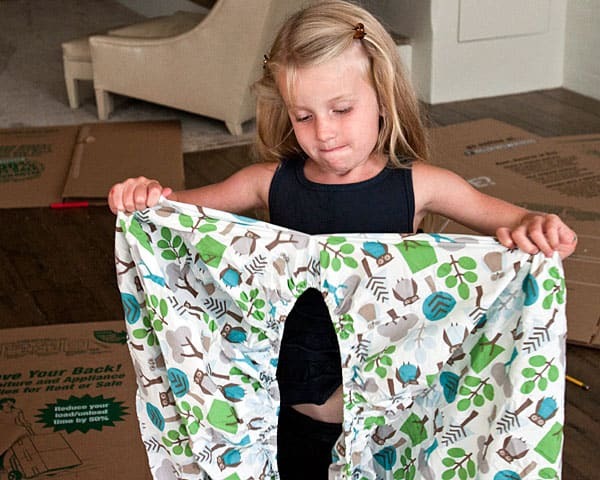 Who better to exemplify the essence of Undecorate than children, whose design choices are not limited by boundaries or expectations but rather motivated by joy and creativity. We live in New York which poses some interesting challenges with kids. We don’t have a backyard so we improvise a lot. 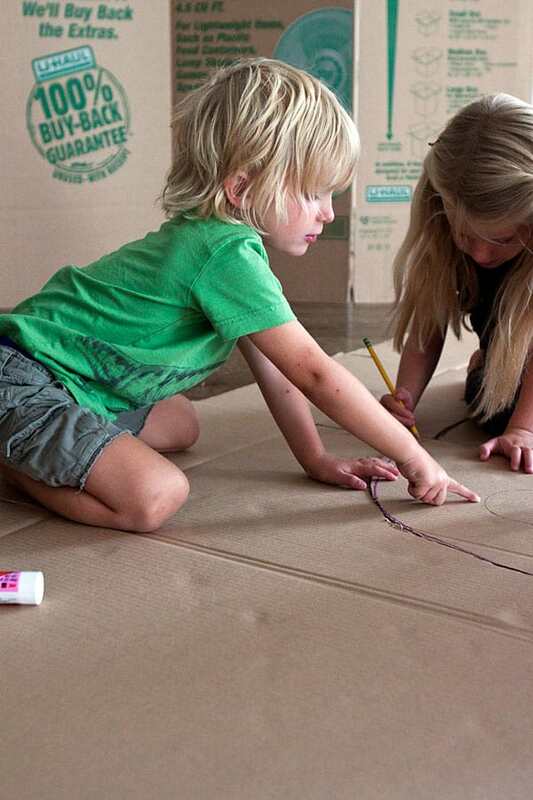 The cardboard castle has become a great go-to indoor project for bad weather – in fact this castle was built in the middle of hurricane Irene! My kids love to plan and build the castle and then play in it for hours. This one is still standing and we have since added a jail and dungeon. 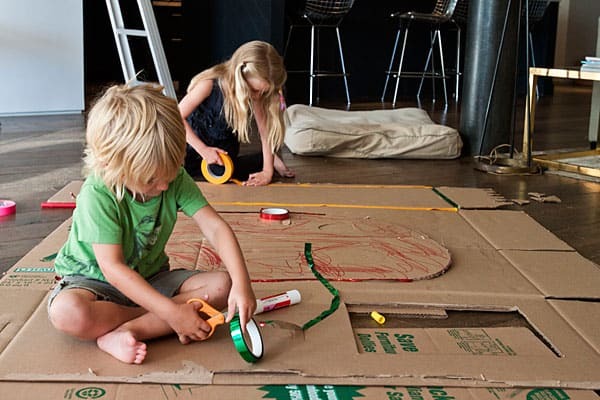 I love the cardboard castle project because the necessary tools are always readily available and it’s a great recycling story. Whether the box is small enough for animals or dinosaurs or big enough to crawl around in – the concept is the same and always very creative. 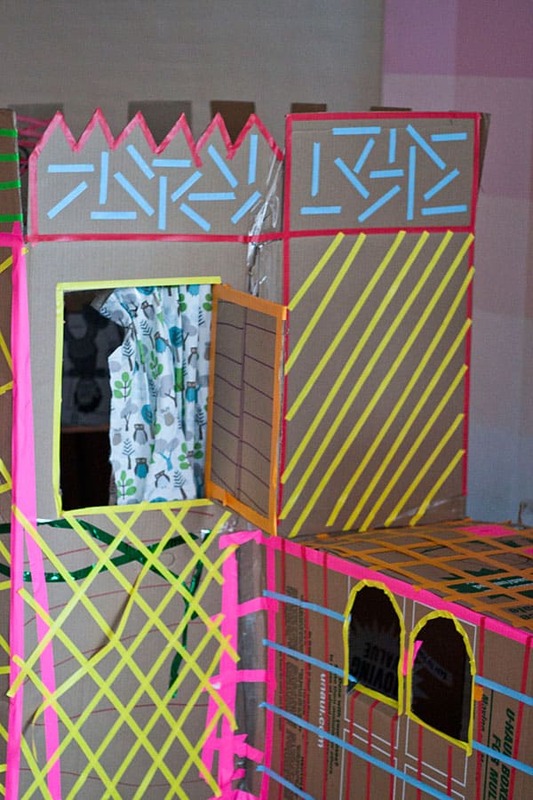 For this particular castle – we used tape as the décor. 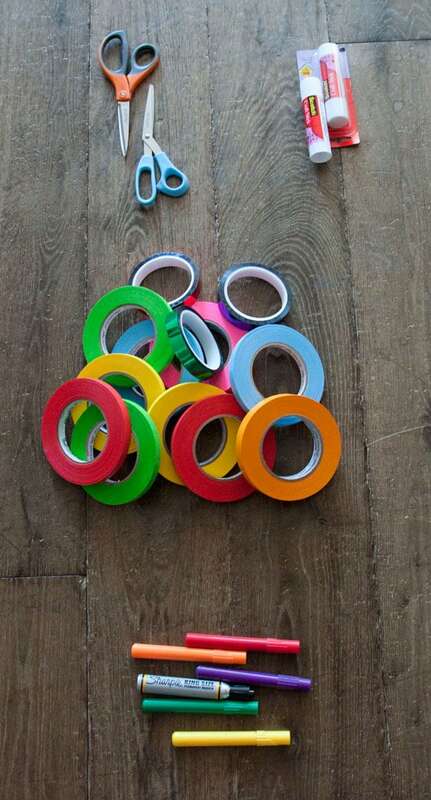 My kids love decorating with tape. 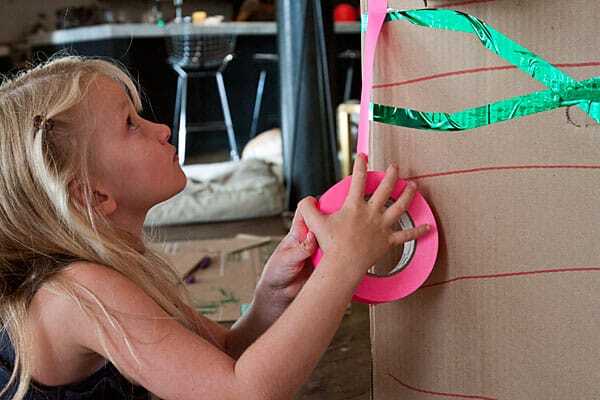 You can use stickers, paint, fabric or even left over wallpaper and anything really. 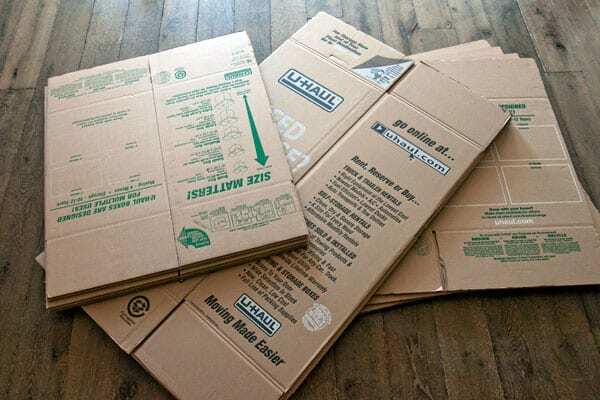 Grab some boxes and go. We usually start with the front door. Isabelle and Will discussed it and decided to make it arched. For this castle Isabelle decided that we should use some scrap fabric (luckily we have a lot!) from the office for curtains. With some help from the parents – cut out windows. 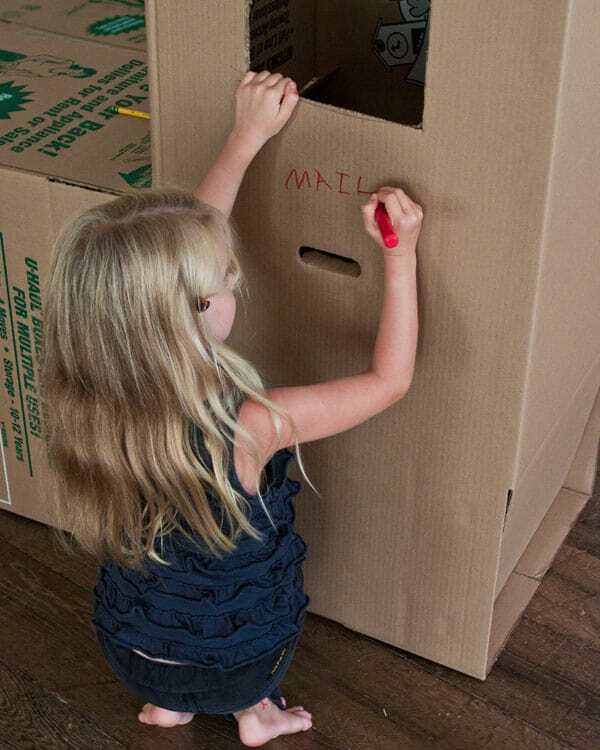 The hole in box makes a perfect mail slot! Put all the pieces together make your castle as big as you like. Hang your window treatments too.